Everyone who thought this marriage was either fake or part of performance art, well, you were kind of right. 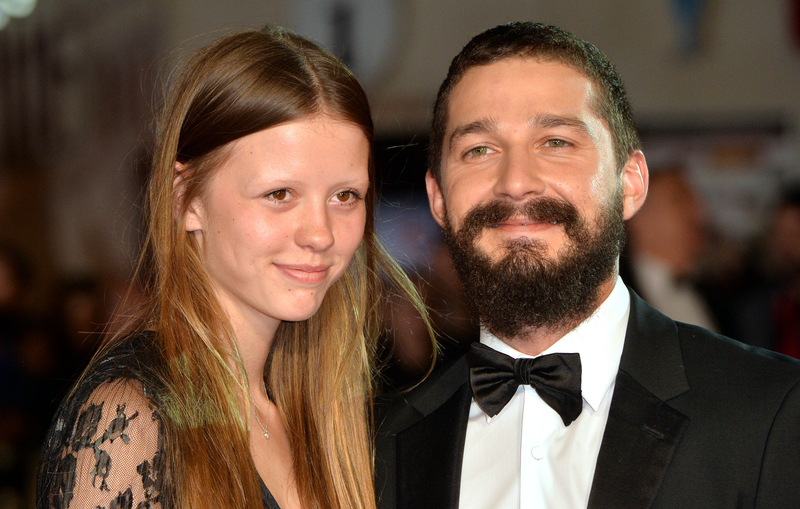 Shia LaBeouf and Mia Goth aren't legally married, Clark County Nevada tweeted Wednesday. "Our records show no marriage license for Shia LaBeouf & Mia Goth. A commitment ceremony was performed." TMZ reported Monday that an Elvis impersonator married the couple in Las Vegas, Nevada. Bustle has reached out to their reps regarding the original marriage report and Clark County's tweet, but did not receive an immediate response. Immediately, many began questioning whether or not their wedding was legitimate or not. I mean, LaBeouf is known for his extreme performance art, so there was always a chance their so-called wedding wasn't real. It remains unclear whether LaBeouf and Goth's ceremony was performance art, if they knew it would be considered a commitment ceremony, or if they had no idea you needed a marriage license for a wedding to be legal. Whatever the case, LaBeouf and Goth are not married. Obviously, there is a huge difference between a commitment ceremony and an actual wedding, like how a marriage license is required for it to be legally binding and recognized as an actual marriage. Viva Las Vegas, the chapel where LaBeouf and Goth got "married," offers both traditional wedding and commitment ceremony packages. The website also blatantly says that a commitment ceremony does not equal marriage. "From the beginning, we have proudly offered Traditional Weddings, Elvis Weddings and Themed Wedding packages as commitment ceremonies," the website explains. "Such ceremonies include any two persons who simply want to express their intention to share the rest of their lives with each other. It's a lot about mutual respect. And love." "Simply want to express their intention to share the rest of their lives with each other" definitely doesn't count as a wedding, but just a ceremony to show commitment and how much two people love one another. Either LaBeouf and Goth selected the wrong package unknowingly or they just wanted to commit themselves to one another, but without making it official. At this point, who really knows, but if they thought they were legally married, LaBeouf and Goth will probably be super disappointed.